This malt mother of vinegar is perfect for making up to 2 quarts (64 oz.) of malt vinegar from beer. Directions: For beer of alcohol content of 8%-10% ABV: add 8 oz. of mother of vinegar to 16 oz. 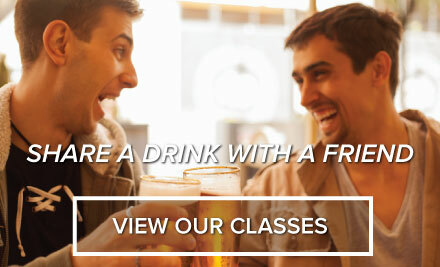 of the beer of your choice to make 24 oz. of vinegar. For 6% ABV to 8% ABV: add 8 oz. of mother of vinegar to 24 oz. of the beer of your choice to make 32 oz. (1 qt.) of vinegar. Place in glass, wood, or food safe HDPE plastic with a removable top or holes allowing for aeration. Cover holes or open top with cheesecloth to block insects. Allow to sit 6-12 weeks. Best temperatures are 80-85 degrees Fahrenheit. You can reuse the mother from your vinegar. 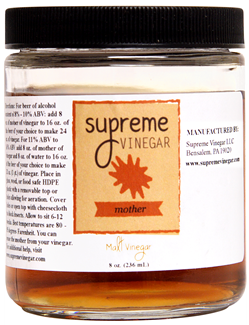 You're reviewing: Supreme Malt Vinegar Mother 8 oz.